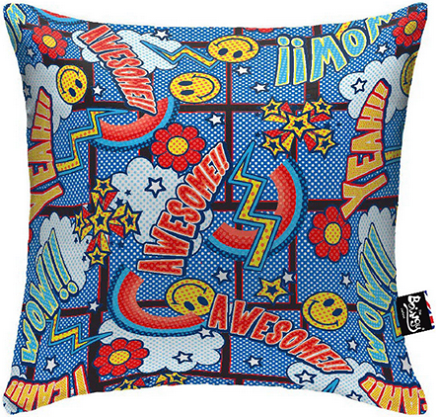 Boingy Cushions are a high quality cushion in a range of funky fabrics that doesnt loose its shape! Boingy cushions are made from high quality Italian knitted Lycra fabrics. 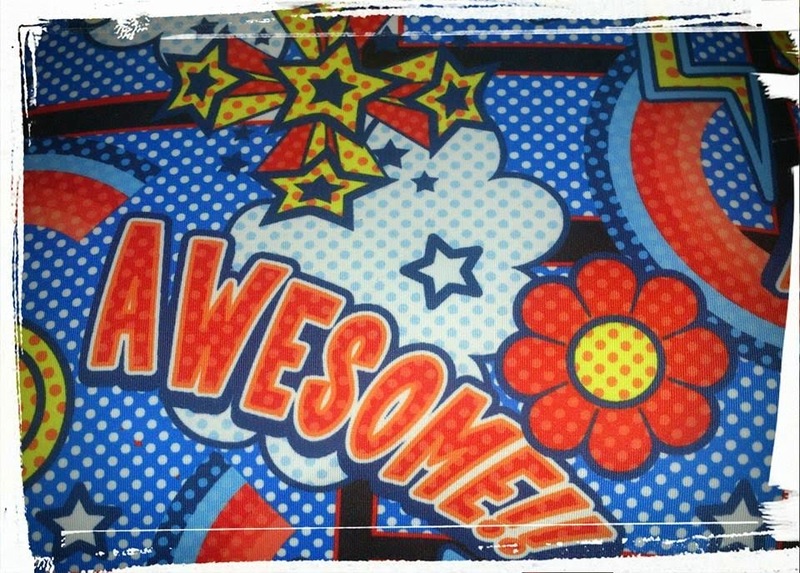 This fabric is durable, washable and flexible. This allows a tight fit around the inner which contributes to the springy nature of the product. The inner has been specified to maintain its shape within the cover, yet it gives a fantastic level of comfort and cuddliness. All of Boingy cushions are made and manufactured in the united kingdom! 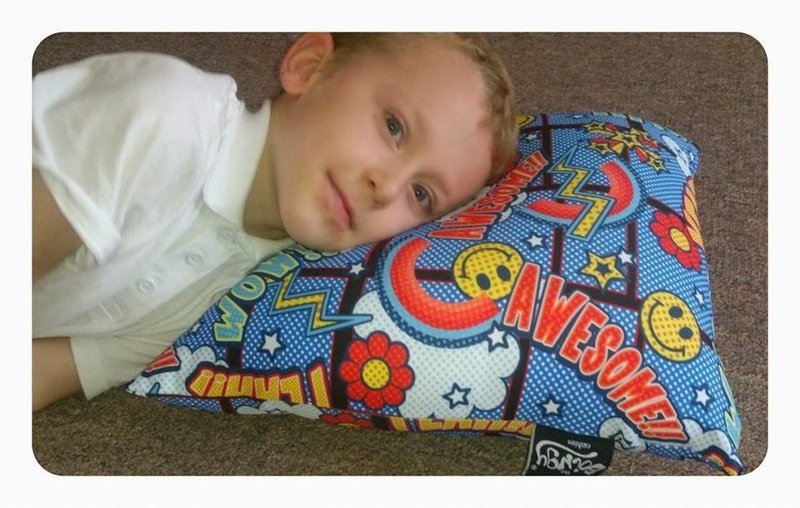 There are so many great designs on offer on the Boingy Cushion website, We chose the Awesome Blue cushion to try out. Boingy cushions evole from an already popular, everyday and widely used product. Boingy Cusions use a higher density hollow fibre filling, which creates the "boingy" effect. This together with a versatile, flexible elastane outer cover, increases the stretchy, bouncy nature of this fun product that doesnt loose its shape! Boingy Cushions are super soft! 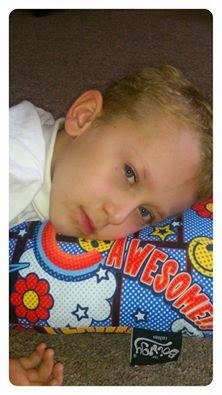 James loved the funky, colourful design of the cushion and said it remeinded him of superheroes which it really does. The cushion retained its shape and bounced back every time James used it even when he sat on top of it or used it over a long time. I really liked the fact the cushion featured a concealed zip so you could feel it when laying on the pillow but it was easy to unzip and clean when needed. I had a little try of the cushion too and it is super comfy!